In Ohio on Tuesday, Hillary Clinton touted President Barack Obama's economic policies, remarking how his plans have helped create millions of private sector jobs in the past six and a half years. She indicated she would build on his supposed success. 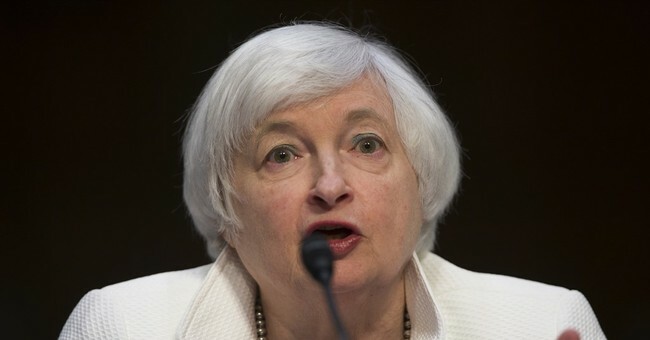 Meanwhile, at a Senate Banking Committee hearing, Federal Reserve Chair Janet Yellen offered an assessment that contradicted Clinton’s sunny report. "For the last few months, as I mentioned, job gains averaged 100,000 on a strike-adjusted basis, which is a substantial slowdown from the first quarter and last year," Yellen noted. The poor economic state may be one reason why voters think Donald Trump is better equipped to restore our faulty finances, because his economic policies would be much different from Obama's than Clinton's. Clinton tried to push back against the narrative that Trump would be better for the economy in her speech Tuesday, insisting that the businessman would bring us back into a recession and bankrupt the country just like he did to several companies and casinos.